Whoops, in the browser-integrated codepen-window it looks way different (and pretty bad lol), I’ll see how I can fix it. On mobile or smaller screens, I am getting this kind of problem. It is cutting off the quote and mixing with the author. If you are still using the same Codepen link you sent earlier, then you still have a problem on smaller screens (see below). In case you did not not know already, you can simply resize the window an make in narrower to see the same thing I am seeing. 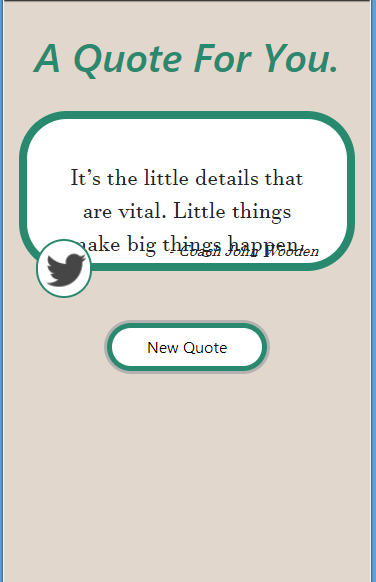 If I reduce the screen size to a specific value the quotes will always pop out, unless I do something like changing the overflow behavior. A possible solution I am thinking of is simply setting a min-width of the browser window. 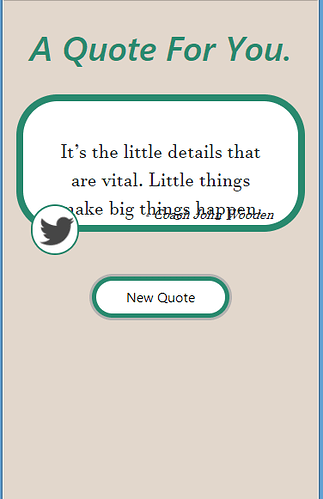 It might not look that great for smaller phones, but that way I can ensure the quotes staying in the box. What do you think? Using JS, change the font-size depending on quote length. 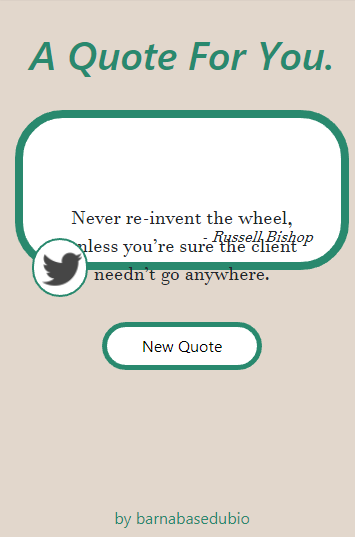 You will have to play around with many quotes to dial in the various font sizes needed. Don’t display quotes greater than a specific length. If quote length is too long to fit your quote window, then call the quote api again for a new quote.